Camping in the Wytheville Distrcit began with Camp Moxley, located in Elk Creek, VA in the late 1930s. Since then, camping has held a special place in the hearts of many children, youth, and adults in this Disctrict. Camp Moxley closed in the early 1960's, when Camp Aldersgate was established on Claytor Lake in Pulaski County, VA. Camp Aldersgate closed in 1970 when Camp Dickenson was established near Fries, VA.
Camp Dickenson is located along New River near Fries, VA on 536 acres of land consisting of wooded ridges, open fields, two islands and 1.6 miles of New River frontage. The property served as a farm from the late 1760's until 1970 when William "Bill" Dickenson donated the land and old farmhouse to the Wytheville District of Holston Conference of the United Methodist Church. It has served as a summer camp and retreat center ever since. The Farmhouse was built in the late 1870's and served as the Dickenson family home. It is now one of two lodges that serve adults, youth, and children throughout the year. 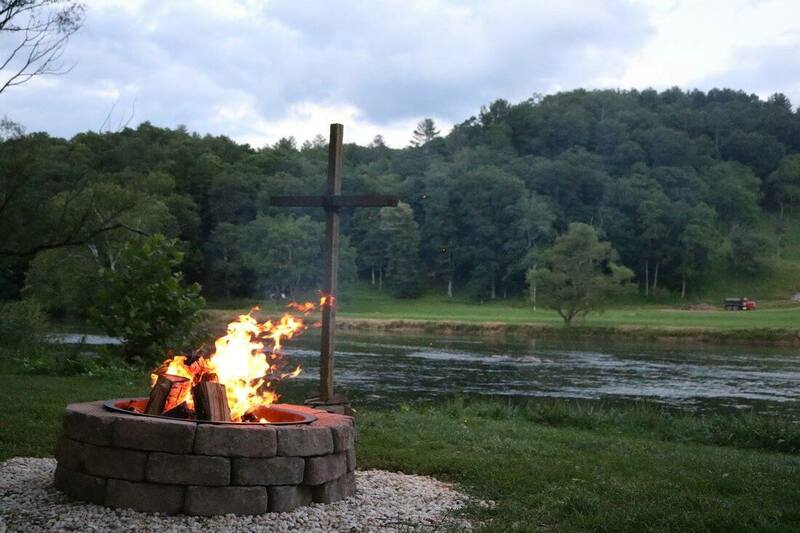 Camp Dickenson carries on a long tradition of camping in the Wytheville District and remains faithful to the wishes of Bill Dickenson when he donated his "old home place" so that people of all ages could gather in "Christian fellowship and good company."